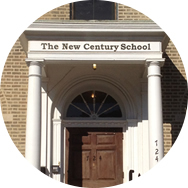 The New Century School is a recognized, independent, private school located in the Fell’s Point neighborhood of Baltimore, Maryland. We cater to children in preschool through middle school. Our progressive, 21st-century curriculum focuses on critical thinking, global awareness, and language learning. 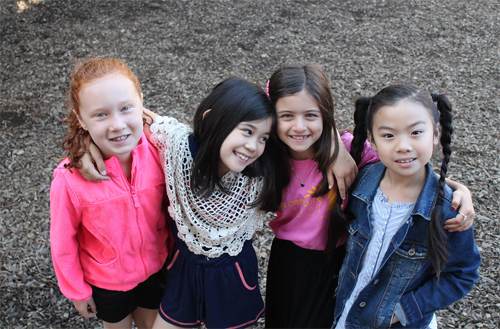 The New Century School’s mission is to challenge students to realize their richest individual potential through progressive, multilingual education and meaningful participation in the world community. TNCS, a Baltimore private school, is dedicated to fostering a love of learning in every child. We understand that children learn at different paces, which is why our mixed-aged classrooms tap into students’ individual strengths and encourage children to learn both independently and in small groups. 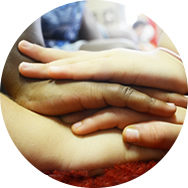 Our inquiry-based approach ensures that each child receives an exceptional education. At all levels, our students are motivated to take risks, solve problems, and develop independence. We place a strong emphasis on language acquisition and teach both Spanish and Mandarin Chinese. In fact, our youngest preschoolers learn and play in a complete immersion environment. After age 3, TNCS students transition to partial language immersion. Each class has a native Spanish- or Mandarin-speaking assistant teacher who communicates exclusively in that language. As students enter elementary and middle school, they attend formal language classes in Spanish and Mandarin Chinese, learning to read and write in those languages as well as to speak fluently. In addition, some classes are taught in Spanish to deepen language acquisition. Schoolwide, we emphasize self-motivation and focus on developing character, including teaching children both self-respect and to be gracious and kind to others through continuous integration of our Core Values: Compassion, Courage, Respect, and Service. TNCS Co-Executive Directors Roberta Faux and Jennifer Lawner founded Patterson Park Montessori in 2007 in Baltimore’s Patterson Park neighborhood. They had a clear vision of what early childhood education should encompass: a safe environment in which children develop responsibility, independence, and the desire to explore and learn about the world around them. As the preschool class grew, so did the vision of the school’s founders. In 2010, we became The New Century School and expanded to serve kindergarten and elementary school students. We also moved to our current location in Fell’s Point, where we occupy the former Mother Seton Academy and St. Stanislaus church buildings on South Ann Street. Today, our preschool program still follows the Montessori method. Our elementary classrooms are not strictly Montessori based but are “Montessori inspired.” Our elementary students are strong critical thinkers who care about learning. Many have been with us since the earliest days. In Fall 2016, TNCS opened its middle school division and continues to grow. Join the Admissions Director at 9:00 am on select Fridays. Have some coffee and refreshments while we chat or stay for the full tour to observe classes in session. We love the hands-on learning and the Montessori approach that keeps our children actively engaged. The emphasis on language and culture has fostered a broad world view even at a very young age.